Are you having engine troubles, but aren’t sure what is going on? Has your check engine light been on for months? Does your car struggle to pick up and go? If you answered yes to any of these questions, then it’s time to stop in for an engine diagnostics test. 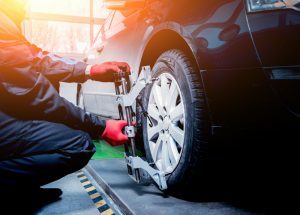 At Master Muffler, our team of experienced technicians can help you determine any issues with your engine by using our top-notch equipment that enables us to examine the data in your computer, in order to determine what fixes are need to keep Utahns safely on the road. Modern vehicles are all equipped with a computer board that records information about the engine’s various components. For this reason, your check engine light is triggered when a diagnostic trouble code, or DTC, is recognized. This enables us to check the code and tell what repairs or maintenance are necessary to get you back on the road. These checks are done free of charge, so that you can make an educated decision about what services you need. Complete scan of your vehicle’s computer. Readout of the documentation of your vehicle’s DTCs. Complete check on manufacturer recalls or information regarding a DTC. A list of recommended maintenance or repairs, along with a reason why, from a Master Muffler technician. *Vehicle’s before 1996 are unlikely to have a check engine light or a diagnostic trouble code readout. 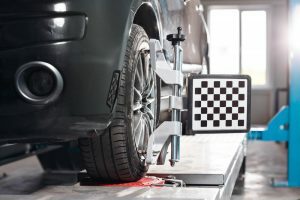 While your vehicle’s computer is able to get a reading on a variety of a vehicle’s components, it isn’t always thorough and accurate. For this reason, some persistent issues may require a full diagnostic analysis. This is more labor intensive, and requires a technician physically going under the hood to visually examine each of the engine components and conduct tests on them. Complete physical inspection and test of your engine’s various components. Battery and electrical analysis test. Comprehensive testing for of your fuel system, along with spark plugs and other components. A road test to get a complete understanding of your concerns. Estimated repairs recommended by our technicians. If you would like a diagnostics test run on your engine, or are curious about what other auto services you may need, stop into a Master Muffler, today! Our friendly technicians are the best in Utah (we actually won an award for it), and can quickly and efficiently find issues in your vehicle, so that it spends less time in a garage and more time on the road. Check our locations or visit our contact page to see us, today!